Japanese Candy! Tokyo Treat Unboxing and Review! I got another Tokyo Treat box to review!! These items aren’t at all easy to get around here, and shipping prices can tend to be pretty high. Plus, like usual, I like surprises! So I’m totally bragging for a moment about getting these awesome treats to try out and share my experiences with you all again! Yep, some more Japanese Candy happiness! 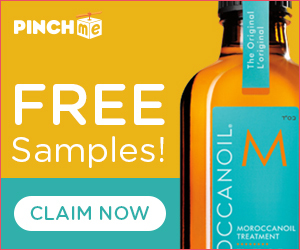 Tokyo Treat offers FREE shipping Worldwide! 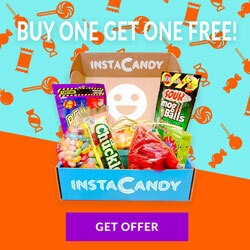 You have three size options for this subscription box! Each with FOUR payment plans. $14.99/mo – Month to month. $14.49/mo – $43.48 every 3 months. $13.74/mo – $164.89 every 12 months. Regular: 8-12 Full Sized Japanese Candy and Snacks. 1 of them being a DIY kit. $24.99/mo – Month to month. $24.16/mo – $72.48 every 3 months. $22.91/mo – $274.89 every 12 months. Premuim – 13 – 17 Full Sized Japanese Candy and Snacks. 1 of them a DIY kit, 1 drink, and one special item! Special items i.e drink, premium DIY, high-quality Gachapon toy. $34.99/mo – Month to month. $33.83/mo – $101.48 every 3 months. $32.07/mo – $384.89 every 12 months. I am so excited that almost everything I got to try I never got to try before. I did get Pucca before, as I mention in the unboxing and trying out video but it’s been years since I’ve gotten my hands on any! I got a cute cup of Instant Udon! I still need to try this. A cute Doremon X Hello Kitty coin purse. <3 Adorable. In the end though I actually gave it to Kat. I ate too many things before taking a picture. I’m so sorry! The unboxing video shows the full glory of this awesome Tokyo Treat box! In which I got SAKURA PEPSI!! YESSSS!!! This is a Mochi DIY kit, you sprinkle water on the mochi, dip them in chocolate and then into the Matcha powder. Sisi likes Matcha, so I gave it to her. Salty Umeboshi Pop Rock style candy. No no no no no…! Unlike what I said in the video though, I did leave some of the spicy chips for Var to have. Okay, I left him half. I did eat the rest of the BBQ ones though. The little pack of them from Calbee? Yummo for sure. How fun! 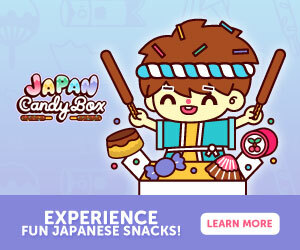 I definitely think it would be awesome to try out Japanese snacks and candy! 🙂 Great video! Japanese candies are so fun. My daughter and I had watched some videos of the ones that you mix and make yourself, they look like they’d be fun for the kids. We haven’t had the chance to try any of them though. These would be like getting a surprise present every month! I love them.Especially the Japanese sweets and toys. Yeah! I love getting a surprise every month, more so when it’s Japanese goodies! I have heard of Tokyo box but I’m pretty surprised by how wonderful the treats are snice i didnt know what the box looked like. I’ve tried Japanese candy before. I love the Sakura Pepsi the most! I tried the Udon noodles, umeboshi, and mochi. Thank you for sharing this unboxing! Well, I like the way you describe all the products in detail and try it in yourself. I love to try new things always and after watching your video and reading your article I think I have to try such snacks at least once. The Sakura Pepsi is different from other Pepsi flavors, and definitely, noodles were amazing.